On the night of August 31st, 1939, the Nazi SS faked a Polish raid on a German radio station at Gleiwitz on the border with Poland. 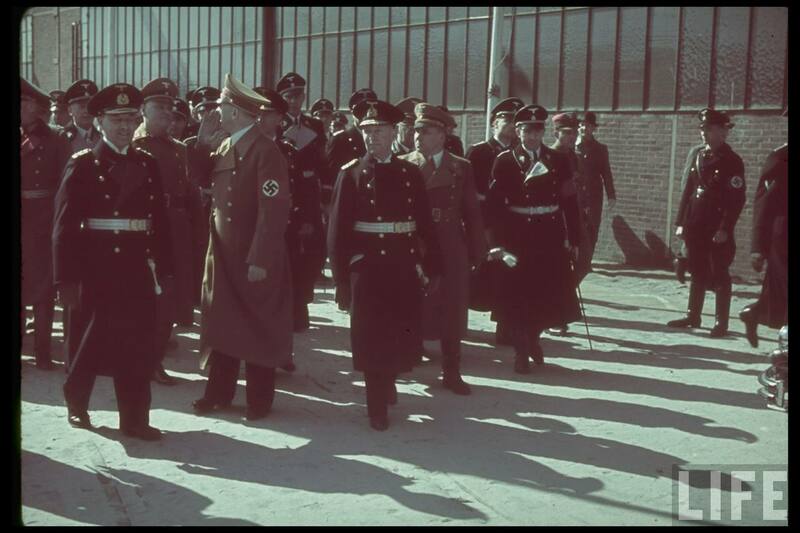 Some prisoners from a concentration camp were killed & their bodies, wearing Polish uniforms, were shown to the press. Announcing that it was responding to this “Polish attack,” at 4:35am the following morning, Germany send troops into Poland, beginning World War II in Europe. The invasion came after a summer of diplomatic activity which focused on the Soviet Union. When Britain & France promised to guarantee Poland against German aggression in April 1939, they had no plans to give the Poles actual military assistance. They did nothing to reinforce Poland’s defenses, nor did they plan to attack Germany from the west. They did; however, try to draw the Soviet Union into a commitment to defend Poland. Negotiations between Britian & France & Joseph Stalin’s Soviet regime made slow progress. The British government was reluctant to do a deal with a Communist dictatorship, while the Poles adamantly rejected the idea of allowing Soviet troops into Poland under any circumstances. For his part, Stalin was doubtful of the motives of the Western democracies, suspecting them of wishing to deflect Nazi aggression against the Soviet Union. Hostility between the Communist Soviet Union & Nazi Germany was such a fixed & apparently deep-rooted aspect of European politics that an alliance between the two seemed unthinkable. Yet they had persuasive shared interests in the short term. 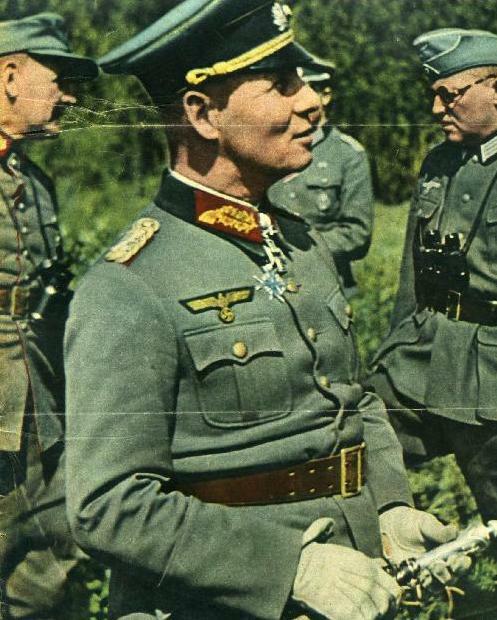 Determined to make war on Poland, before the autumn rains set in, Hitler needed to reduce the number of enemies he might have to fight simultaneously. Stalin, for his part, was tempted by the chance to extend his rule westward at the expense of Poland & the Baltic States. Serious discussion between the Nazi & Soviet regimes began secretly in late July. On August 21st, Joachim Von Ribbentrop, had been invited to Moscow. Two days later an astonished world learned of the signing of a Molotov-Ribbentrop Pact. One of its secret terms provided for Germany & the Soviet Union to divide Poland between them. 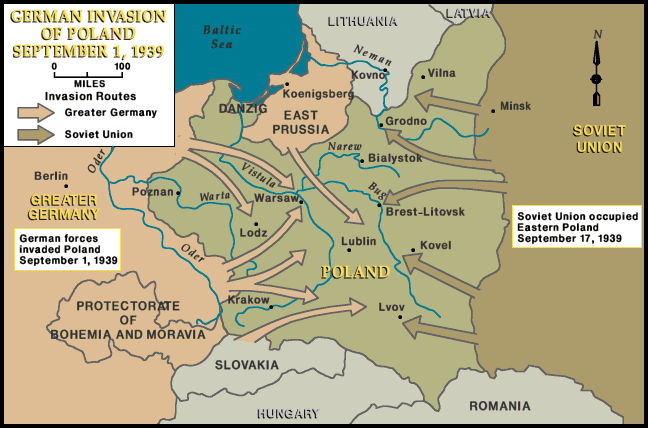 With the agreement with Stalin in his pocket, Hitler ordered that the long-planned invasion of Poland should begin on August 26th. However, at the last moment, he hesitated. 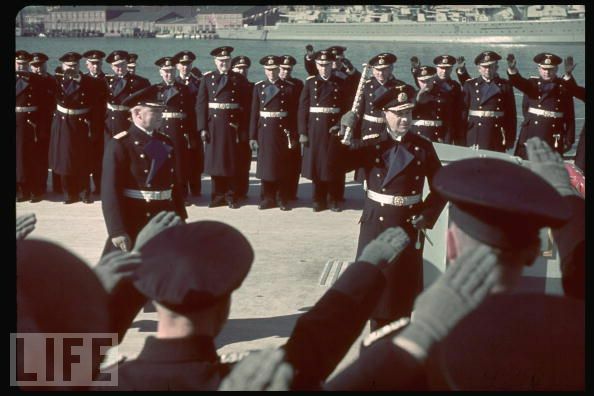 Britian & France assured Germany that they really did intend to go to war if he attacked the Poles – a formal military alliance between Britian & Poland was signed on August 25th. With unemployment exceeding 6 million & the Weimar Republic entering its final death throes, the elections of 1932 were fought in a growing atmosphere of political violence & disorder. 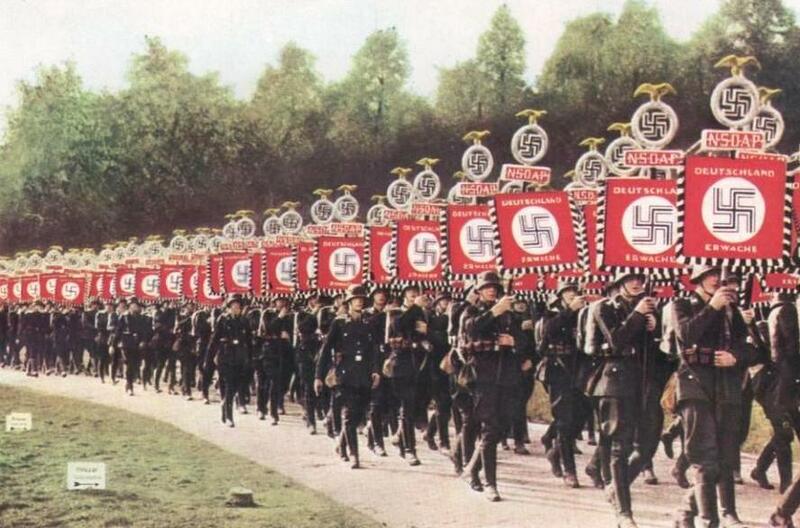 After the July Reichstag elections, the Nazis emerged as the largest party, but in the November 1932 elections the Nazi vote fell by 2 million, with their Reichstag seats reduced from 230 to 196. While the Nazi vote appeared to be in decline & the party’s tactics in disarray, an increase in support for Germany’s communists persuaded many industrialists & bankers to transfer their backing from the ineffectual conservatives & liberals to the Nazis. They were seen as the only bulwark against the growth of communism. In December 1932, after a series of further political intrigues, Kurt Von Schleicher succeeded Franz Von Papen as a chancellor. However, in January 1933 Papen acted as a power-broker between business interests & landowners in political manuevers that were intended to oust Schleicher. The ensuing negotiations eventually resulted in Hitler becoming chancellor. The fatal miscalculations made by Papen – indeed by the conservative right & the German establishment in general – was to believe that Hitler & the Nazis could be “tamed” once in power. 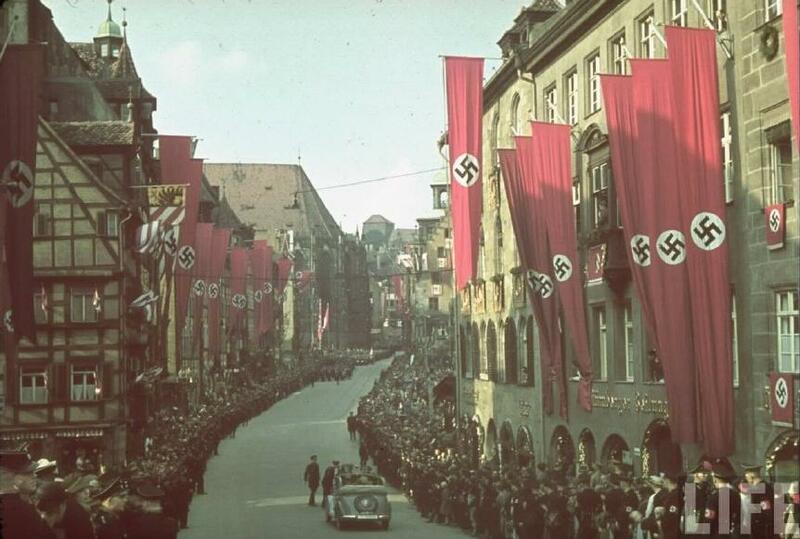 The establishment tried to use Hitler & his party to give itself legitimacy for a new authoritarianism. In reality it served to legitimize Nazism. Out of a labyrinth of intrigues, Hitler emerged the victor. 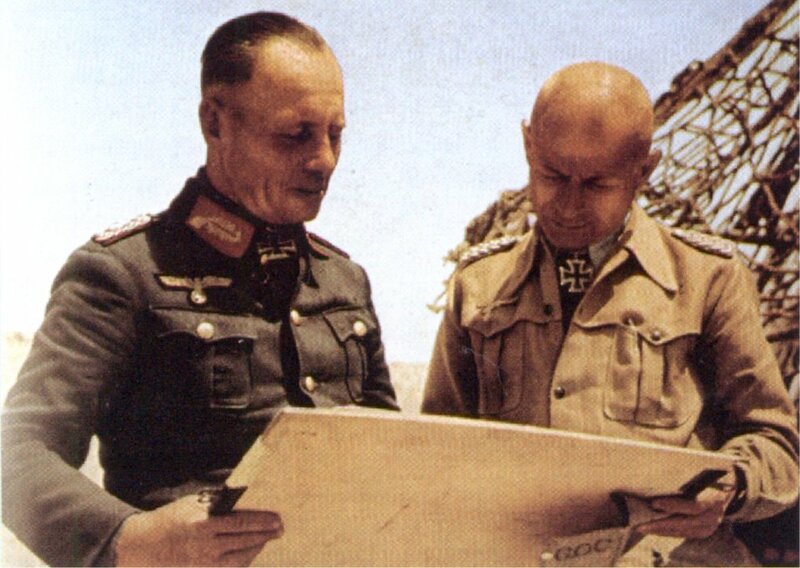 Shortly after General Erwin Rommel landed in Libya on February 11, 1941, he grasped the essential nature of desert warfare: everything depended upon mobility. The key to victory in the desert was the tank, whose armor could withstand most enemy fire, & whose guns could shatter unarmored or lightly armored vehicles. The British had concluded from these two factors that armored warfare would consist primarily of tank-on-tank battles. But since German & British tanks were more or less comparably armed & armored, each side on average would destroy about the same number of enemy tanks as it lost itself. In other words, stalemate would ensue unless the British deployed many more tanks than the Axis. This, in fact, was the British plan, & they brought far more tanks into the field than the Axis, aiming to gain victory by overwhelming numbers. Rommel recognized the British theory was correct, if one accepted the premise that armored warfare would consist of tank-on-tank battles. But with Hitler uninterested in Africa, Rommel knew he had no chance of matching British tank numbers. He decided to fight the war differently than the British expected, resolving to withhold his relatively few tanks until the final push or drive to gain a decision & to find another way to destroy British armor. He & other German officers had already discovered a weapon eminently suited for this purpose: the 88-millimeter high-velocity antiaircraft gun. In the 1940 campaign in France, German commanders found that this gun, designed to shoot down high-flying aircraft, could blast through 83-millimeters of armor at 2,000 yards, making it by far the most formidable antitank weapon on either side. The Germans also had another weapon, the 50-millimeter antitank gun, a light & nimble piece that could penetrate 50-millimeters of armor at 1,000 yards. The 50mm gun could sometimes crack the 30mm & 40mm armor of the fast British Cruiser & Crusader tanks, but could break through the 70mm frontal armor of the slow “infantry” Matilda tank only at point-blank range. 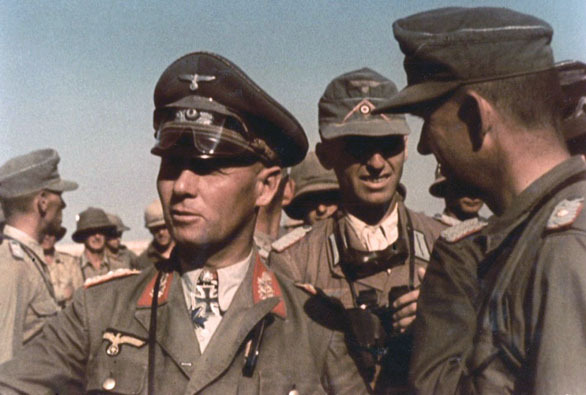 With these two weapons, which he used in new ways, Rommel created a tactical system, based on the concept of sending guns after tanks, that virtually nullified the vast British superiority in tank numbers. &, since Rommel was extremely bold in his offensive movements, he used his fewer tanks to throw the British into precipitate retreat time after time. 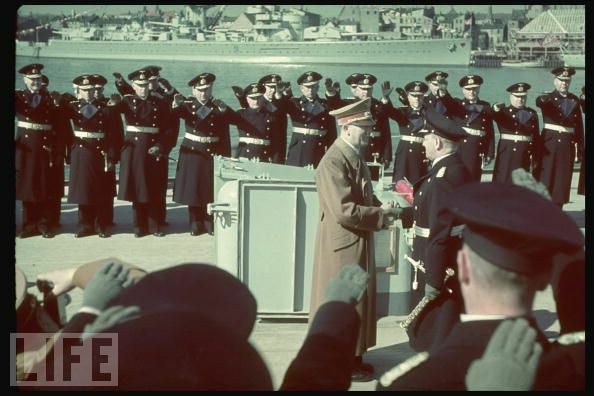 Erich Raeder (Chief of the German Navy) felt that the senior army generals had a “purely continental outlook,” did not understand the war-winning opportunities that had opened up on the south shore of the Mediterranean, & would never counsel Hitler correctly. 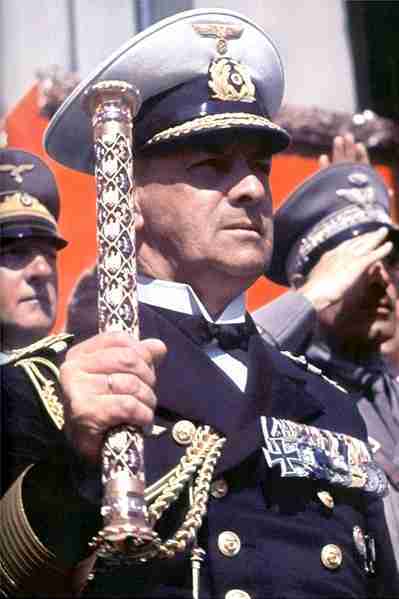 Although the OKH & OKW did advise Hitler to send troops to North Africa, their proposals lacked Raeder’s urgency. 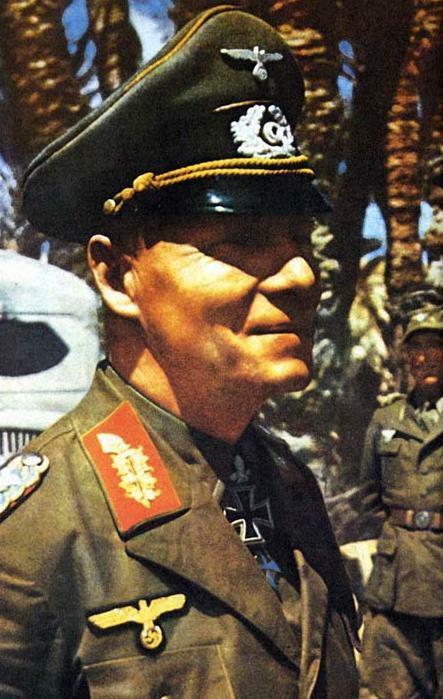 Never did Brauchitsch, Halder, Jodl, or Field Marshal Wilhelm Keitel, chief of staff of the OKW, express the conviction that the war could be won in the Mediterranean, although Keitel told Benito Mussolini that capture of Cairo was more important than capture of London. Part of their hesitancy lay in the knowledge that Hitler had been fixed for a long time on destroying the Soviet Union & gaining Lebensraum for the German people. Their careers depended upon not rocking that boat. 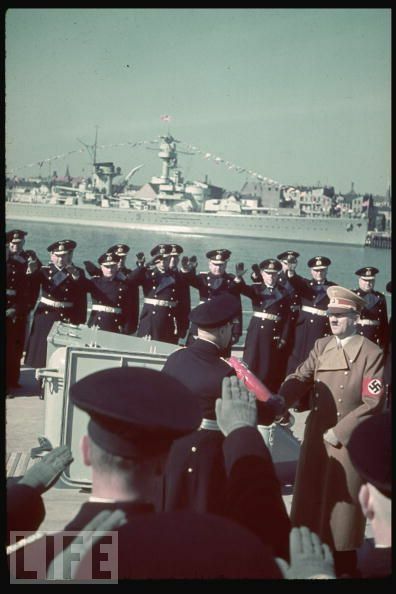 However, they never stressed to Hitler, as did Raeder, that victory in the Mediterranean would make it easier, in the end, to achieve victory over the Soviet Union. Once Axis forces overran Egypt and the Suez Canal, they would close the eastern Mediterranean to the Royal Navy. The British fleet would immediately retreat into the Red Sea, because it could not be supplied sufficiently by means of convoys through the western Mediterranean. Whether or not the Germans seized Gibraltar by a direct attack (& this was virtually excluded because of Spanish dictator Francisco Franco‘s opposition) Britain strategically would be paralyzed. The Axis could move at will into the Middle East, for the British had no substantial forces there. Thus, not only would Syria & Palestine fall, but German panzers could seize Iraq & Iran with little effort. These two countries produced much of the world’s oil, & their capture would provide ample amounts of Germany’s single most-needed strategic material. The advance on the southern frontier of Turkey would put the Turks in an impossible position. Hitler was already in the process of gaining Hungary, Romania, & Bulgaria as allies. Therefore, Turkey could be approached either by way of Bulgaria across the Bosporus at Istanbul or from northern Iraq and Syria. Turkey would be forced to join the Axis or grant passage for Axis forces and supplies. A defiant stance would result in the swift defeat of the Turkish army & disaster. Passage through Turkey would reduce the importance of Malta and Gibraltar. However, both could be eliminated without the active support of Franco & without direct assault. German forces could easily occupy French North Africa (Morocco, Algeria & Tunisia) with or without Vichy France’s cooperation. From French Morocco, they could approach from the south the small strip of Morocco along the Strait of Gibraltar ruled by Spain. Spain would be forced to grant transit rights, or stand aside if German forces occupied the strip without permission. Spain could not resist for fear of a German attack into the heart of Spain from France. Consequently, German airfields and batteries could be set up along the south shore of the strait. This would close it to Britain – without an expensive military assault on the rock of Gibraltar. Furthermore, closing the Strait of Gibraltar would force the British to abandon Malta, because they could not supply it. With the Royal Navy out of the Mediterranean, it would become an Axis lake. This would permit German forces to occupy all of western Africa, including the French base at Dakar, in Senegal. Aircraft, ships, & submarines from Dakar could close down much of Britain’s convoy traffic through the South Atlantic, even without seizure of the Cape Verde islands. In the Middle East the strategic payoff would be even greater. German forces in Iran would block that country as a route for supplies to the Soviet Union from Britain & the United States. Russia would be left with only the ports of Murmansk on the Barents Sea & Archangel on the White Sea through which goods from the west could be funneled. This would require dangerous passages in atrocious weather, with constant danger of attacks by German ships and aircraft stationed in Norway. Even more important, the Soviet Union’s major oil fields were in the Caucasus & along the western shore of the Caspian Sea, just north of Iran. Germany could threaten not only an attack directly from Poland & Romania in the west but also from the south through the Caucasus to the Soviet oil fields. This danger of envelopment & quick loss of oil would immobilize Stalin, & obligate him to provide Germany with whatever grain & raw materials it might need. In other words, Germany (without loss of a single soldier) would have the benefits of the Soviet Union’s vast materials storehouse, as well as delivery of tin, rubber & other goods from southeast Asia by way of the Trans-Siberian Railway. A German position in Iran also would pose a huge threat to India, agitating for independence under Mohandas K. Gandhi & other leaders. From Iran Germany could invade India through the Khyber & other passes, invasion routes long before & long after Alexander The Great made the passage in 326 B.C. Germany would not actually have to do a thing. The threat alone would force Britain to commit every possible soldier to defend its crown jewel. Germany, again without the expenditure of a single man, could immobilize Britain. In possession of the Middle East, all of North & West Africa & Europe, its armed forces virtually intact, its economy able to exploit the resources of three continents, Germany would be virtually invincible. Britain’s defiance on the periphery of Europe would become increasingly irrelevant. Germany would not have to inaugurate an all-out U-boat war against its shipping. Britain’s remaining strength would have to be expended in protecting its empire and the convoys to and from the home islands. The United States would have no hope of launching an invasion against the mainland of Europe & an undefeated & waiting German army until it had spent years building a vast navy, army, & air force, not to speak of the transports, landing craft, vehicles, & weapons necessary for such a giant undertaking. It is possible that the United States would take on this task, but the chances for its success would be extremely small. Far more likely, the American people would turn first to counter the expansion of Japan in the Pacific. Meanwhile Germany could consolidate its empire, bring subject nations into an economic union, & grow more powerful economically, militarily, & politically every day. Before long, the world would become accustomed to the new German Empire & insist on a return to normal international trade. This at last would give Hitler the opportunity he had sought for decades. He never wanted more of the Soviet Union than the region west of the Ural mountains. Once a de facto cease-fire had been achieved, Hitler could strike at European Russia from south & west, drive Stalin & the surviving Soviets into Siberia, & get the Lebensraum he coveted.